Grace O’Connell is the author of The Globe and Mail Best Book Magnified World and 2014 winner of the Canadian Authors Association Emerging Writer Award. She holds an MFA in creative writing, and her work has appeared in various publications including The Walrus, Taddle Creek, The Globe and Mail, National Post and Elle Canada. 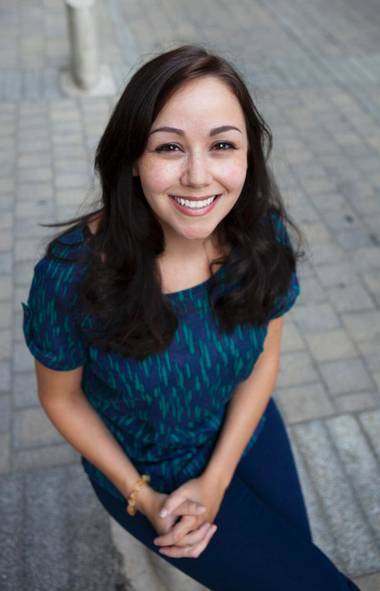 She teaches creative writing at the University of Toronto and works as a freelance writer and editor. 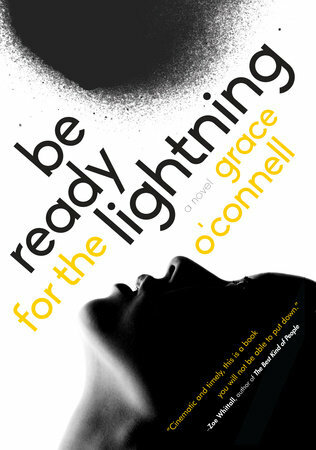 O’Connell will be in Thunder Bay on October 30th, 2017 for the International Festival of Authors event at the Thunder Bay Art Gallery; she will be presenting Be Ready For The Lightning. Shauna Kosoris: What can you tell me about your new novel, Be Ready for the Lightning? Grace O’Connell: It’s the story of Veda, who ends up on a bus that is being hijacked after her issues with her brother Conrad drive her from their hometown of Vancouver. Conrad and Veda’s connection is the heart of the book: he is troubled and violent but deeply loyal to and gentle with Veda. The book deals with how her most difficult experiences end up being key to getting her out of the hijacking, how she ended up there, and what happens afterwards. For me, it’s an exploration of violence – the obvious moments of violence and the more insidious ones too, and how they shape our lives. Why did you decide to write about a hostage situation? It started out as a way to deal with anxiety that I was experiencing when my niece (the first grandkid in our family) was a toddler. She was out and about in the world more and I couldn’t stop worrying. Then I’d start wondering what I would do in a situation like the one in the book… if I could protect the people I love. I thought, “I’m not brave, I’m not strong – what would happen if someone like me was in that kind of situation? What if your only weapons are words?” The hijacking was where the writing started. Veda turned up on that bus and my writing process was “Who is this woman and why is she here?” Discovering Veda was a joy. It’s always fun when characters start to come alive while you’re writing. Along with your novels, you’ve written a lot of shorter pieces, both fiction and nonfiction. What was your first published piece? My first published piece ever was actually a suite of poems, believe it or not. Three short, linked poems called “Forgetting Freud” appeared in a lovely literary journal called Lichen. It was Lichen’s last issue ever, and there were a lot of amazing writers in it, and I was so, so thrilled. Strangely enough, a gentleman at an event the other day brought a copy of it for me to sign. I was so impressed – it came out ten years ago! Wow, that’s so exciting! Do you have a favourite short piece you’ve written? I think if I had to choose, it would be “The Many Faces of Montgomery Clift.” I don’t normally write autobiographically, but there is a lot of my own life in that story, and of a dear, dear, dear friend of mine, so I feel very close to the piece, even though there’s plenty that’s strictly fictional in it too. I had always wanted to publish in Taddle Creek too, which is where the story first appeared, so it felt like a big milestone for me. Plus I’m a title nerd and that’s one of my favourite amongst my titles. I’m a sucker for a long title. Along with writing, you’re also an editor with Open Book; how did you get involved with them? I’d been a fan of the site for a while, and when they were expanding and needed a (at the time) Contributing Editor, I pounced on applying. I interviewed via Skype and was so, so happy when I got the good news. I had just left my previous job with the Writers’ Trust of Canada, and I was excited to get to work with another awesome CanLit-focused non-profit. That was six years ago now, but it feels like no time at all. You also teach creative writing at the University of Toronto. What are the most challenging and most rewarding aspects of that job? The most challenging aspect, hands down, is how time consuming it is, especially marking and giving feedback. When I’m marking, between Open Book and teaching and freelancing, I’m working days, evenings, and weekends. It’s overwhelming at times. It’s important to me to give the students as much feedback and editorial value as possible, but it’s definitely mentally exhausting. The best part is when I hear from the students about their experiences in the course. I’ve had more wonderful notes from students than I can count, and I’ve definitely gotten a little weepy over some of them. Because I teach students who are early in their writing journey, it’s a really magical, vulnerable, exciting time. It’s a privilege to get to have an impact on writers at that crucial early stage. The most honest answer right now is just day job stuff. Between Open Book and teaching and promoting Be Ready, life is lovely but very, very busy. But I do have a seed of an idea germinating in my mind, and one or two shaky little scenes written. The idea has to do with two lifelong friends caught up in an unhealthy relationship, and a crisis point in that relationship. Good luck with everything! Let’s finish up with a few questions about reading. What book or author inspired you to write? Atwood was the first adult author I ever read and her work definitely imprinted on me early. There’s a wonderful quality of clarity to her writing that I love. She has great literary devices and wordplay, but she’s never overly dense or complicated for no reason. It’s wonderfully clean prose. Clarity is a quality I really prize in fiction writing, and something I strive for. It’s often easier to write the big, convoluted, wordy paragraphs than to make a sleek, streamlined paragraph really sing. And she’s funny too – I learned from reading her work that you can write an emotionally driven novel with serious, difficult life events in it and still have a sense of humour about it. That felt real and balanced to me. Bronwen Wallace’s book of short stories, People You’d Trust Your Life To, is an amazing collection. It’s her only prose book (she was a fabulous poet as well) and it was published after her death from cancer. It’s Munro-esque in that it’s just jaw-droppingly well crafted realist short stories, but it’s a bit grittier. It’s heartbreaking to think of all the books she would have written if she had the time. If I can squeeze a second one in, I would say that Jeanette Winterson is a fantastic author to read to remind us just how much can be done in fiction. She’s limitless in her creativity. I’ve just started Heather O’Neill’s brilliant novel The Lonely Hearts Hotel and I picked up Barbara Gowdy’s Little Sister at the Word on the Street this weekend when I had the (amazing!) opportunity to read with her – really looking forward to that as well.